"40 Let all things be done decently and in order." This verse has been running through my mind recently. God is a god of order. He has specific ways He wants things done. And, that character trait normally rests in us, too. When we're in church, we must have order. 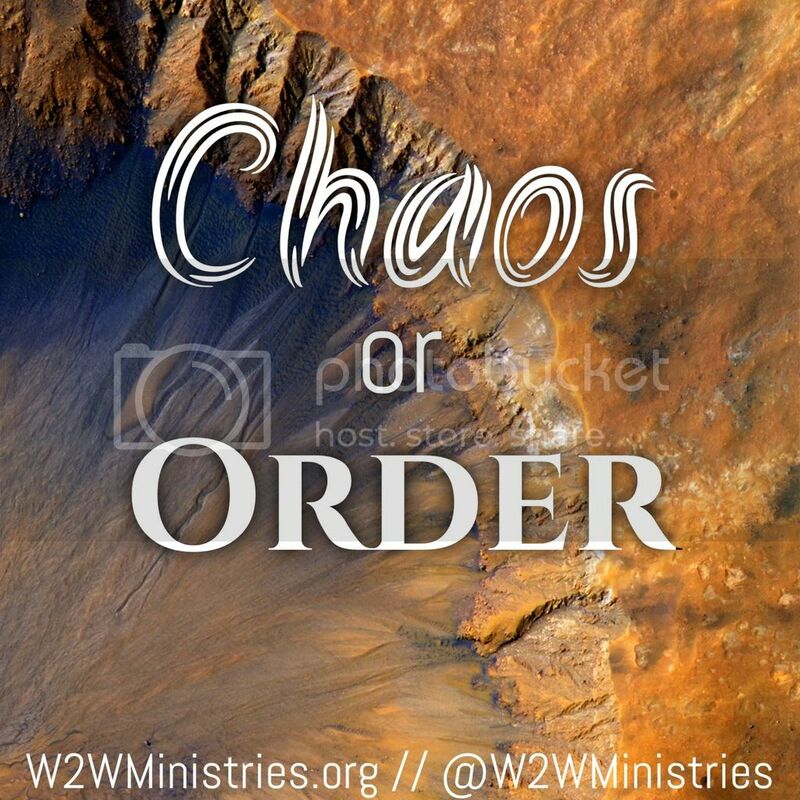 Without order we have chaos! Chaos makes me nervous. I like things nice and neat; all wrapped up in a pretty bow. If everyone in church decided to preach from their seat, it would be pure chaos! If everyone decided they were going to play the piano...chaos! There must be order in the way we do church. There must be order in a business and in a family. There must be a plan. I can't step into the pulpit without any idea what I'm going to preach about...unless that's how the Holy Spirit has led me for that day. I pray and study and plan what I think God wants for that week. There has been a time when I had the sermon all done, prepared...wrapped up in the pretty bow. In fact I was done early in the week. I was proud of myself. Well, guess what! I think it was Friday when God changed the sermon on me. WHAT! Now I felt pressed. I felt like I was going to present something less than a nicely wrapped sermon. I felt rushed. I truly believe that God taught me something that week...don't prepare the sermon on my own...God is in control. I fret sometimes that God will change the sermon AFTER I step into the pulpit! Oh, if you know me...you know I'll be a crazy lady if He does that! But, I know if He does, He will give me the words to say! I just need to stop fretting about it. Some people live in chaos and they are perfectly fine with it. But, I think the majority of people like things less chaotic. My home office is a chaotic mess right now. It drives me crazy. I want it neat and orderly. While it's true I know where just about everything in it is...I still prefer the order. My problem rests in time. I meet myself coming and going and haven't been able to schedule in the time to organize it. It has become a catch-all making it more chaotic! What do you prefer, chaos or order? Comment below and share your preference!